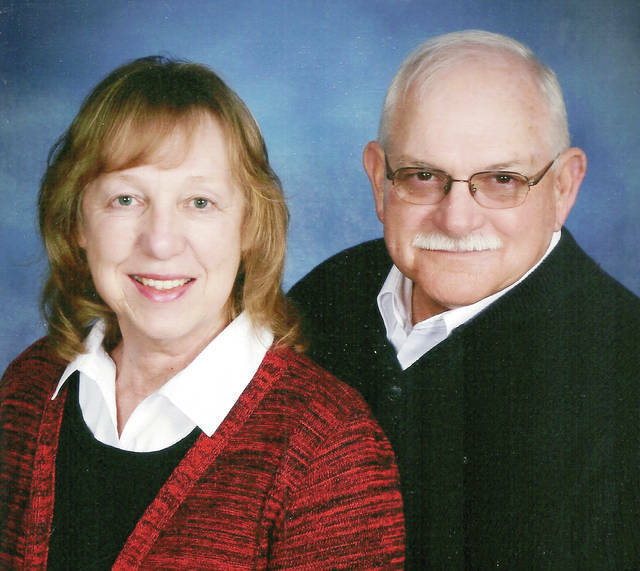 John and Linda Slaninka of Swanton are pleased to announce their 50th wedding anniversary. John Slaninka and Linda Cain were married Sept. 14, 1968, at Trinity United Methodist Church in Swanton by Rev. Earl Biggers. John retired as director of the Commercial Driver’s License Program at Terra State Community College. Linda retired as director of Swanton Public Library. They have two daughters, Julia (Angela) Slaninka of Jasper, Ind., and Jill (Dan) Long of Peru, Vt. They also have three granchildren. The couple will celebrate with an open house Saturday, Sept. 22, 2-4 p.m., at Shorty’s Back Forty Event Center, 5201 Monroe St., Toledo. Please omit gifts.